With a firm commitment towards the quality, we are offering Concrete Interlocking Pavers. The pavers offered by us are manufactured using high quality raw material that is also tested on various parameters before the production process. 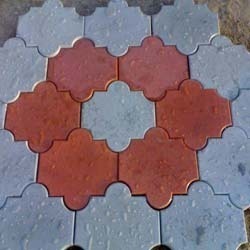 These pavers are offered in various classic designs, attractive colors and other specifications as per the clients. We are looking queries from Singapore.